The R&S AVHE100 headend solution for encoding and multiplexing from Rohde & Schwarz now provides broader functionality and more value to broadcasters by supporting an additional digital broadcast standard. Following the market launch in the fall of 2012, where the focus was on DVB-T/DVB-T2, the R&S AVHE100 has now been enhanced for operation with DVB-S/DVB-S2. What sets this headend apart from conventional systems is its revolutionary architecture and innovative technologies, such as R&S CrossFlowIP, which greatly improve reliability. Unlike conventional headends, the R&S AVHE100 integrates all essential functions for encoding and multiplexing in just a few hardware components. This makes the R&S AVHE100 one of the most compact systems on the market. Its core components are the R&S AVS100 processing platform and the R&S AVG100 audio/video gateway. In just two height units, these two components can, for example, be set up as a DVB-S2 headend that includes multiple HD-SDI or satellite inputs, decoders and encoders for up to 6 HD or 10 SD programs, multiplexers and a workflow-oriented headend management system. All audio and video signal processing functions have been implemented entirely with software-based modules in the R&S AVS100 processing platform. Signal distribution and communications inside the headend are fully IP-based. This simplifies installation and allows for flexible, customizable configuration and easy system upgrades. The R&S AVHE100 is well-suited for direct IP connections to and from the headend. The audio/video gateway converts legacy signals such as SDI, ASI or AES to IP at the system boundaries. The A/V gateway can optionally house a satellite receiver with decryption module as well. The headend can encode video streams in both H.264 and MPEG-2 format at professional broadcast quality. There is also an option to consolidate the streams into a statistical multiplex. This efficient utilization of data rates makes it possible to transmit more programs and achieve higher picture quality. In the DVB multiplexer, the relevant program information is added. The integrated headend management system allows users to configure, control and monitor the individual system components. A straightforward, workflow-oriented graphical user interface – also available in touchscreen format – simplifies system operation. A unique redundancy concept provides an especially high degree of fail-safe performance. The proprietary R&S CrossFlowIP uses IP switches to ensure uninterrupted signal switching during redundancy operation. R&S CrossFlowIP makes it possible to route the signal via the main path and redundancy path of the headend as required for the specific operating situation. This allows seamless signal switching during maintenance and in the event of faults. Core R&S AVS100 processing platform and IP switch hardware components come with redundant power supplies to ensure high availability. 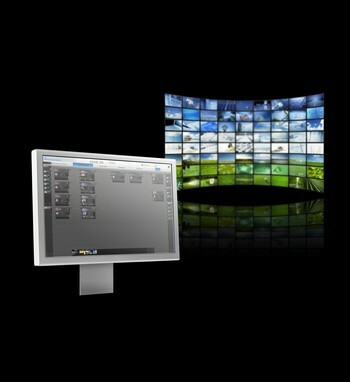 An optional video wall for the R&S AVHE100 enables quality control on all critical interfaces of the signal path. The video wall shows the quality of the programs supplied and of the output transport stream, displaying measured results graphically and numerically. The R&S AVHE100 is cost-effective to maintain. The small number of integrated hardware components reduces susceptibility to faults, making service and stocking of spare parts easier. The headend functionalities can be expanded by adding software options to the A/V processing platform or hardware modules to the A/V gateway. The R&S AVHE100 with DVB-S/DVB-S2 standard is now available from Rohde & Schwarz. Rohde & Schwarz is an independent group of companies specializing in electronics. It is a leading supplier of solutions in the fields of test and measurement, broadcasting, radiomonitoring and radiolocation as well as secure communications. Established almost 80 years ago, Rohde & Schwarz has a global presence and a dedicated service network in over 70 countries. It has approx. 8700 employees and achieved a net revenue of € 1.8 billion (USD 2.3 billion) in fiscal year 2011/2012 (July 2011 to June 2012). Company headquarters are in Munich, Germany.